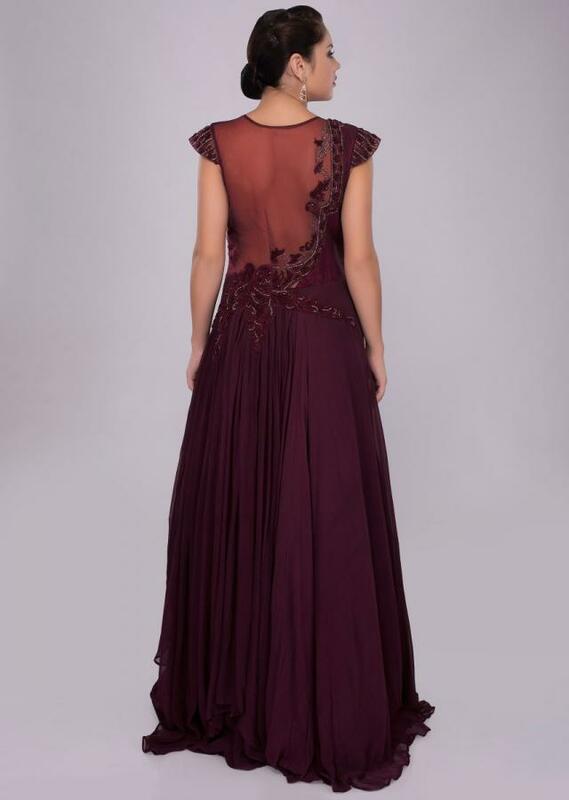 Floor length wine gown having half bodice in raw silk and other half in net embroidery. 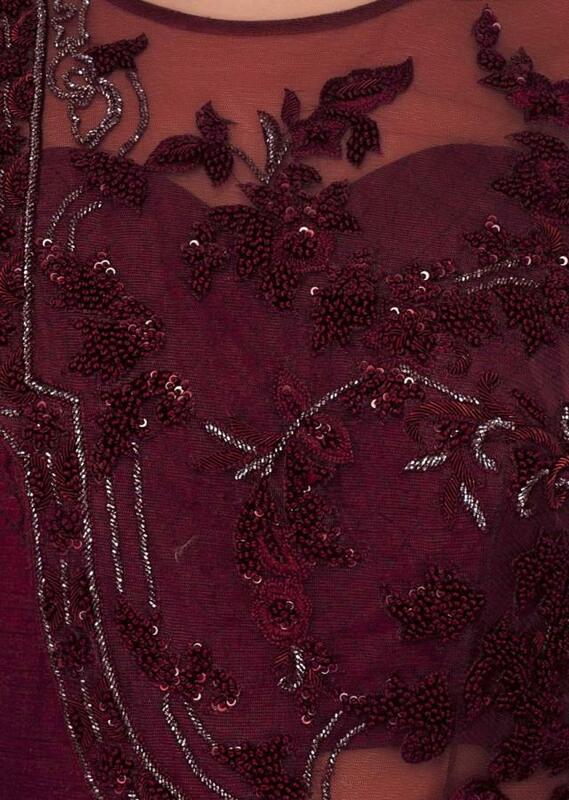 It has the net area embellished in self resham, zardosi, sequins, french knot and cut dana embroidery. Further from the waist it comes with an additional georgette layer with gathers. It Comes with a sheer net back.